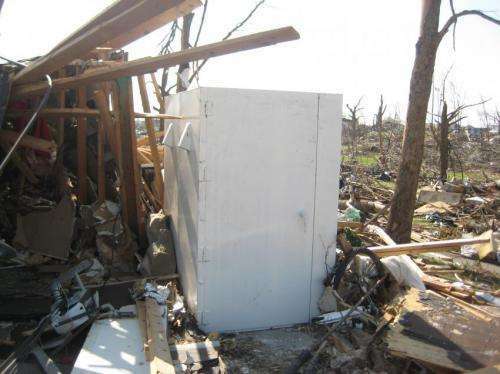 The National Institute of Standards and Technology (NIST) has released the final report on its technical investigation into the impacts of the May 22, 2011, tornado that struck Joplin, Mo. The final report is strengthened by clarifications and supplemental text suggested by organizations and individuals from across the nation in response to the request for comments on the draft Joplin report, released Nov. 21, 2013. The revisions did not alter the investigation team's major findings or its 16 recommendations, highlighted by NIST's call for nationally accepted standards for building design and construction, public shelters and emergency communications that can significantly reduce deaths and the steep economic costs of property damage caused by tornadoes. Nationally accepted codes and standards, as well as uniform guidance for clear, consistent and accurate emergency communications. The report also includes a number of recommendations for future research and development of technologies and strategies to advance tornado wind measurements, strengthen emergency communications, increase warning time, create more accurate tornado hazard maps and improve public response during tornado events. The NIST Joplin tornado study was the first to scientifically study a tornado in terms of four key aspects: storm characteristics, building performance, human behavior and emergency communication—and then assess the impact of each on preventing injury or death. It also is the first to recommend that standards and model codes be developed and adopted for designing buildings to better resist tornadoes. The tornado in Joplin was rated by the National Oceanic and Atmospheric Administration's National Weather Service (NWS) as category EF 5, the most powerful on the Enhanced Fujita scale. The massive storm impacted an area 35 kilometers (22 miles) long, destroyed some 8,000 structures in its path and killed 161 people. This makes it the single deadliest tornado in the United States in the 64 years that official records have been kept. More information: The complete text of the final report, Technical Investigation of the May 22, 2011, Tornado in Joplin, Missouri is available at www.nist.gov/manuscript-public … ch.cfm?pub_id=915628. Additional information about the tornado event and the NIST investigation, may be accessed at www.nist.gov/el/disasterstudie … lin_tornado_2011.cfm.